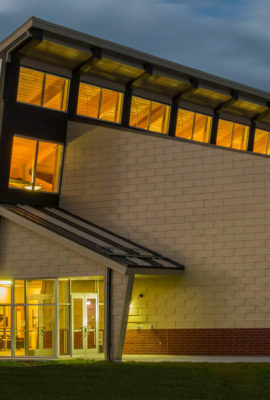 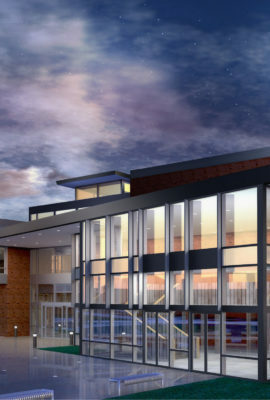 Gainey Hall provides students with a community-centered living and learning environment, and establishes a new center of campus for student activity and socialization. 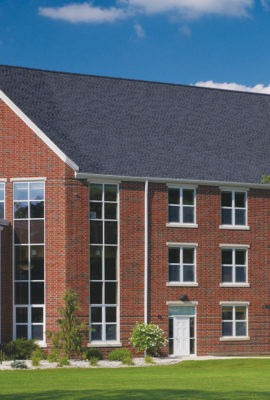 The new three-story residence hall provides contemporary housing to more than 200 underclassmen. 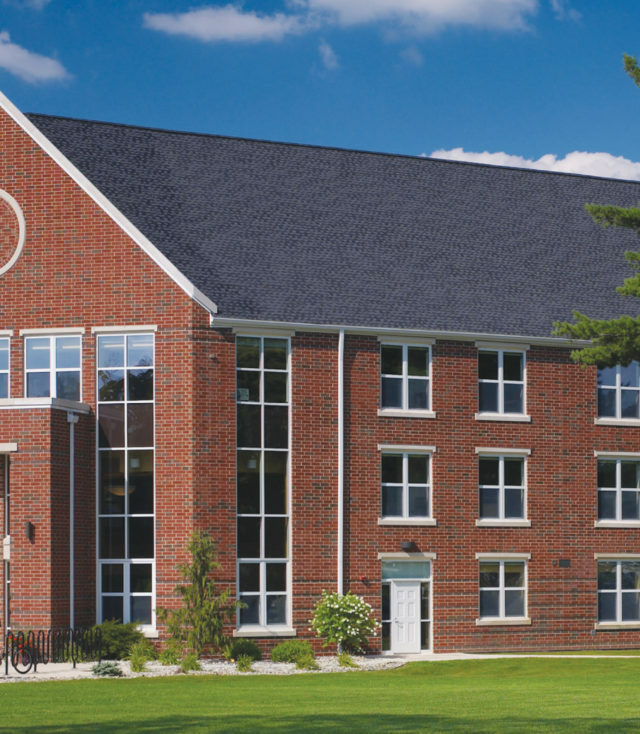 A two-story main lounge creates a comfortable family room-style setting, while a second-floor lounge and a small meeting room provide places for students to gather and collaborate. 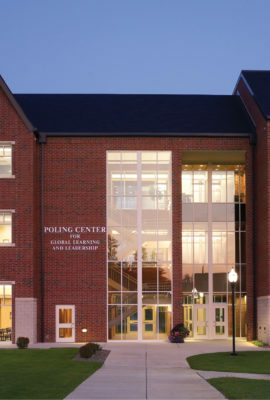 The design also provides students with plenty of space for socializing or late-night study sessions. 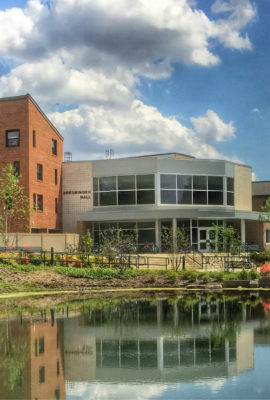 Gainey Hall reflects the newest trends in student housing and serves as a vibrant destination in the larger campus community. 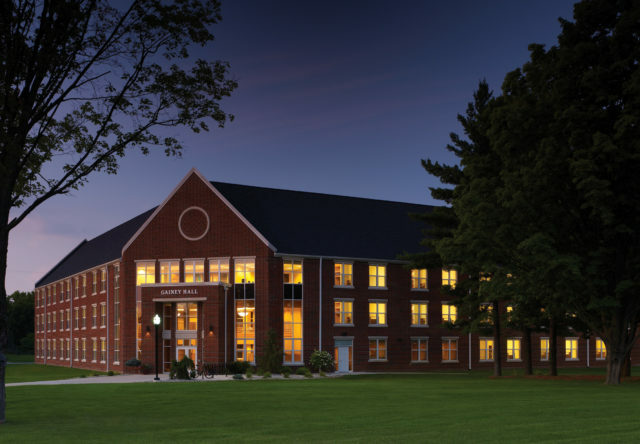 The residence hall functions as part of a larger design effort to create a new center of campus for student activity and socialization. 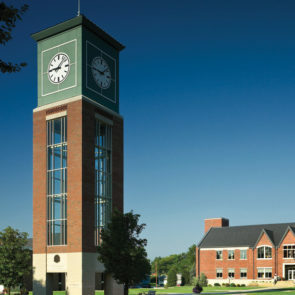 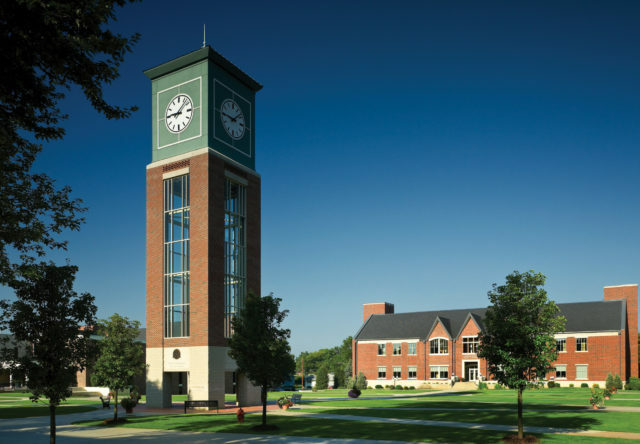 A bell tower establishes the area as the new center of campus, and is a popular meeting place and destination for outdoor recreation. 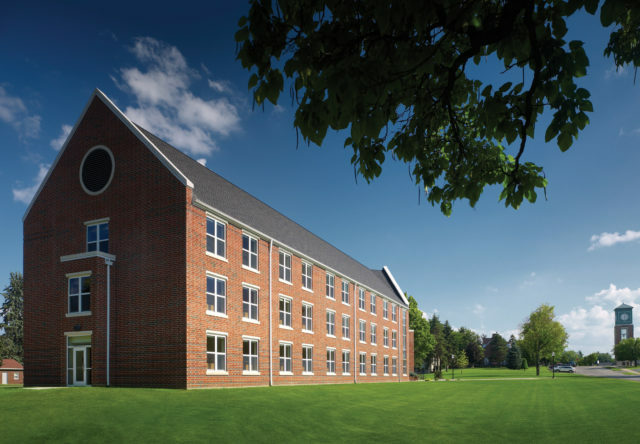 Gainey Hall now reflects the newest trends in student housing and serves as a vibrant destination in the larger campus community.